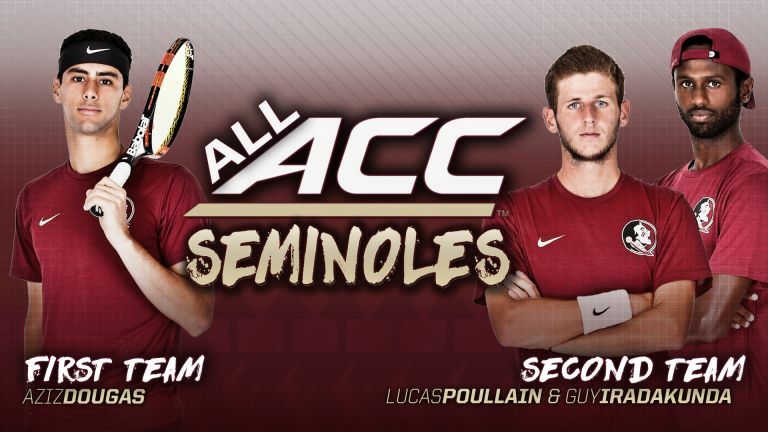 GREENSBORO, N.C. – Following the best season since 1984, three members of the Florida State men’s tennis team were honored by the league’s coaches Thursday with All-ACC Honors. 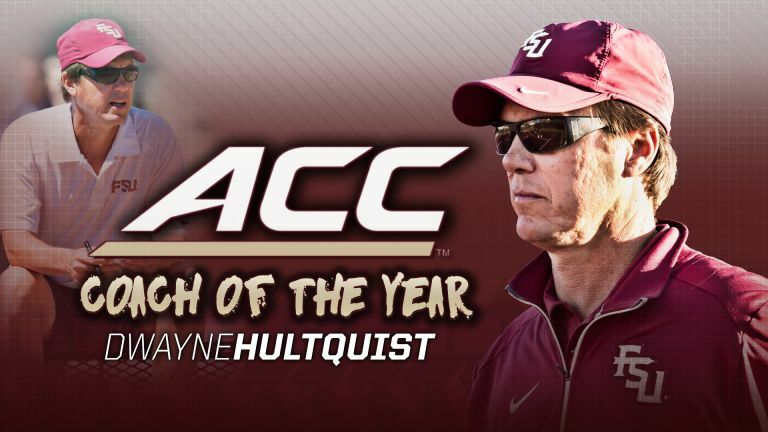 Head coach Dwayne Hultquist was also awarded ACC Coach of the Year Honors. Junior Aziz Dougaz was named first-team All-ACC, while redshirt senior Lucas Poullain and senior Guy Iradukunda were named second-team All-ACC. For the first time in school history, the Seminoles came away with the ACC Coach of the Year. Coach Hultquist led the Seminoles to a 27-4 record and a 10-2 record in the ACC including a win over No. 1 Wake Forest. Coach Hultquist brought home his first and the school’s first ACC Coach of the Year honor. For the second straight season, Dougaz was named the first team All-ACC and Iradukunda was to the second team, while Poullain was named the second team for the first time after being named third team All-ACC a season ago. After being named a first-team All-ACC honoree a year ago, Dougaz has repeated earning his second first-team honors following a junior season that saw him ranked as high as 22nd in the nation. Dougaz went 18-6 on the year with a 13-5 record on court one and a 5-1 record on court two. Dougaz was 6-4 in the ACC and finished 6-6 against ranked opponents this spring. Dougaz is set to compete in the upcoming NCAA Singles Championship. Iradukunda collected his second straight second-team All-ACC honor after finishing with a 23-10 record. Iradukunda was 16-6 this spring with a 7-2 record on court one, a 6-4 record on court two and a 3-0 record on court three. He went 4-6 in the ACC and was 5-7 against ranked opponents. Iradukunda is the second of three Seminoles to compete in the upcoming NCAA Singles Championship. After coming off a season that saw him earn third-team All-ACC honors, Poullain improved on his way to earning second-team honors in 2018. Poullain went 27-4 with a 22-1 record in the spring, going a perfect 10-0 in ACC competition. Poullain was 5-1 against ranked opponents and was 7-0 on court two and 15-1 on court three. Poullain is the last of three Seminoles to compete in the upcoming NCAA Singles Championship. The three Seminoles that earned All-ACC honors will begin their competition in the NCAA Singles Championship Starting May 23 after the team championships are completed. The Singles Championships are hosted in Winston-Salem on the campus of Wake Forest. Florida State earned the No. 12 overall seed in the NCAA Tournament, which begins next weekend. The Seminoles open tournament action on Friday, May 11, against Alabama State in the first round of the Tallahassee Regional.